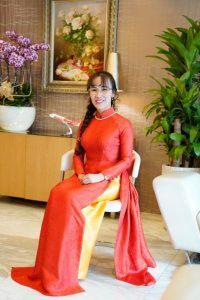 President and CEO of Vietjet, Nguyen Thi Phuong Thao, has been honored with the “Woman Entrepreneur of Vietnam’ and “Woman Entrepreneur of ASEAN” at the annual ASEAN Business Awards 2018 in Singapore. The awards were presented by Madam Halimah Yacob, President of Singapore and Robert Yap, the Executive Chairman of ASEAN Business Advisory Council, where she was recognized for her contribution to the regional and global growth as the leader of Vietjet. The ASEAN Business Awards have been held by the ASEAN Business Advisory Council (ASEAN-BAC) every year since 2007 and are a part of the ASEAN Business and Investment Summit (ABIS). This initiative was set up to celebrate outstanding enterprises and entrepreneurs that have significantly contributed to the development of the ASEAN Economic Community. Under her leadership, Vietjet has continuously expanded its flight network with domestic and international routes that have now reached a network of 103 routes. The new-age carrier’s flight safety performance and ground operation are also amongst the top in the region. 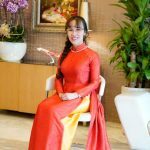 Due to the airline’s success, Nguyen Thi Phuong Thao has become the first self-made female billionaire in South-East Asia, and she was also named among the world’s 100 most powerful women by Forbes Magazine for two consecutive years in 2016 and 2017. She was also recently awarded the “ASEAN Entrepreneur Award” at the annual World Knowledge Forum in South Korea, back in October this year.